Everyone is familiar with motorcycles. We see them all the time; huge machines carrying a rider steadily along, seemingly defying gravity and requiring huge bravery to ride. Motorcycles have an allure, a glamor, that is absent from their four-wheeled counterparts– and many of us find them difficult to resist. However, despite all of their associated style and flare, motorcycles also occupy a strange place in the public consciousness. They look great, they’re the epitome of cool… but no one knows much about them. Instead, for the non-motorcycle riding populace, the knowledge of motorcycles is pretty dim. If you’re already a bike rider, you will likely have experienced some of this directly; the comments from usually-intelligent people, the same motorcycle myths being repeated time and again. Maybe you even think a few of those myths are true yourself. … and every driver you pass loses their mind with anger. Why does this happen? Frankly, some of the response from drivers seems to be out of envy; they see someone escaping the traffic that they are still struggling with. Other drivers have safety concerns, suggesting that splitting lanes is a route to imminent death. So, let’s bust that myth once and for all: splitting lanes is actually safer than sitting in slow-moving traffic. Lane splitting is actually beneficial for both cars and motorcycles alike, and should be passed into law in the 49 states that currently officially ban it (California is the outlier). So if you live in California and you’re taking your bike out for the first time, delight in your ability to split lanes, and outright ignore the angry drivers you leave in your wake. This is a very strange argument, and one that needs to be consigned to the trashcan forevermore. The idea that motorcycle helmets aren’t beneficial in a crash is based off flimsy evidence, which is primarily anecdotal– a motorcyclist being killed and their helmet dented in the process. Motorcycle helmets do make riding a motorcycle safer, and do lessen the risk of serious accidents. If a motorcycle has a crash while riding at 70mph, no, the helmet is unlikely to be able to do much for them. However, the same can be said for cars; when cars are at speed, crushing injuries from the bodywork are a real danger to those in the vehicle. Motorcycle helmets aren’t magic protective shields that can argue with the forces of velocity. However, it is worth remembering that the vast majority of accidents don’t happen at 70mph– they happen at low, average road speeds. In these incidents, motorcycle helmets can save lives, and anyone riding a bike should always have one firmly attached to their head. This, sadly, is one myth that can’t be bust– because it’s not a myth. It’s undeniable that motorcycles tend to be involved in more crashes than cars, and those crashes tend to result in a higher level of injury and fatality. However, it is worth putting this into perspective. Riding a motorcycle is actually beneficial in some regards, especially for problems with driver inattention (a leading cause of many car accidents). Motorcycle riders tend to be more engaged with the road, and accidents are frequently not their fault. While the statistics for motorcycles don’t make for pleasant reading, that doesn’t make them inherently unsafe. Cars are also unsafe if you look at the statistics, as is walking down the street, or even just sitting on furniture. Everything has risks, and if you ride a bike properly, then you can be sure you’ll always be ready to respond to any developments on the road– and keep yourself safe as a result. Another helmet myth, and one that seems to make sense on the outside. Motorcycle helmets cover the whole head, so it seems natural to assume that they prohibit a rider from hearing the noise of the road– thus the rider can’t sense an approaching car, and may get into an accident. As well as hearing problems, the myth suggests that motorcycle helmets block the rider’s view of the road. 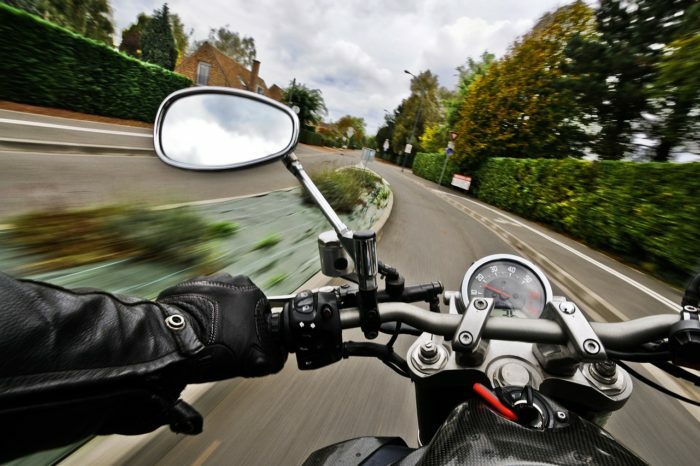 First and foremost: mirrors are attached to motorcycles, allowing the rider to see any traffic approaching from behind them. Secondly: this myth is completely untrue. Numerous studies have concluded that wearing a motorcycle helmet does not impede the rider’s ability to see or hear the road. Helmets are designed to keep riders safe, not to add to their litany of concerns, so this should come as no surprise. 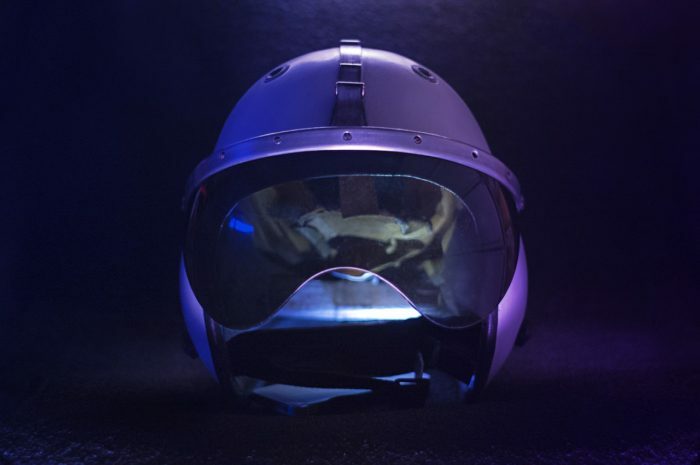 Provided a helmet is well-fitted and meets Department of Transportation safety standards, it is safe to use and will not inhibit vision or hearing whatsoever. Cutting through some of the myths that surround motorcycle riding is important. If you do own a motorcycle, then you’re going to want to reassure your friends and family who may have concerns for your safety. If you don’t own a motorcycle, but have always been tempted, then understanding the truth about motorcycle ownership is vital if you want to make ownership a reality. Hopefully, the above examination has been useful to both riders and non-riders, helping to spread a little fact into a world that is so often steeped in myth.